Abbey, a typical American teenager from Nashville, Tennessee, enjoys being a Christian, going to church, and having fun with her friends. She has never heard about Christians suffering for their faith in Christ. But when she travels to China for the first time with her dad, a photojournalist, Abbey quickly becomes caught up in a plot that involves her new Christian friends, a mysterious secret agent, "illegal" Bibles, and the police! Desperate to undo the mess she inadvertently causes, Abbey finds herself on a daring mission and in the process mourns her own simplistic understanding. She vows to carry the message of the persecuted church to Christians back in America. 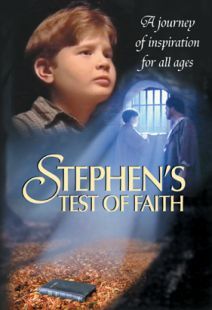 Set in modern-day Beijing and filmed on location in China and Taiwan with scenes that include the Forbidden City, Tiananmen Square and The Great Wall, this drama reveals not only the harsh realities of being a Christian in a restricted nation such as China, but also the all-too-common ignorance of Christians in the free world. This powerful video is a great tool for your family, friends, Sunday school class, or anyone who needs to hear the truth about Christian persecution. Agent Abbey will educate and inspire you. If you liked Stephen's Test of Faith, you'll love Agent Abbey! Vision Video recently released Agent Abbey, a 30-minute drama that addresses the issue of the persecution of Christians. Designed for junior high students and teens, the video/DVD exposes some of the harsh realities of being a Christian in a restricted nation. Agent Abbey was filmed on location in China and Taiwan with scenes at the Forbidden City, Tiananmen Square and the Great Wall. Filmed on location in China and Taiwan - with scenes that include the Great Wall, the Forbidden City, and Tiananmen Square - this live-action docudrama produced by Voice of the Martyrs explores the persecution of Christians living in China through the fictional story of a Nashville, Tennessee high school student named Abbey who travels to China with her photographer father. Because Abbey is not aware that the Chinese people do not share many of the religious freedoms she takes for granted in America, she ends up endangering - through her carelessness - the lives of her new Christian friends as they try to smuggle in Bibles and hold secret religious services. To make amends, Abbey vows to carry the message of persecuted Christians with her back to America. A fine discussion starter on the subject of freedom of religion, the nicely produced Agent Abbey is recommended. This powerful video production will be a great tool for your family, friends, Sunday school class or anyone who needs to hear the truth about Christian persecution. Agen Abbey will educate and inspire you. 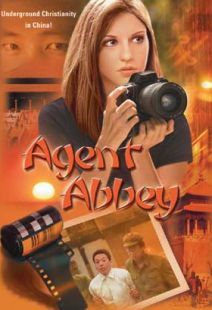 If you like Stephen's Test of Faith, you'll love Agent Abbey! Patricia Apple - Abbey was excellent! 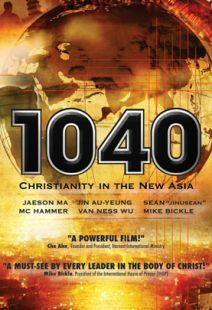 The story gave good insight into the sad reality of how Christians are persecuted in China. It was very touching to see how much people will risk to worship there. The best thing about the video was the acting ability of the young woman who played Abbey. She was great at convincing us that she really had a heart for the people in China who had such a desire to know God.